So far, it has been an interesting experience, especially with nature. Tuesday, for the free preview; it was a beautiful start. Temps in the low 80's sunny / clouds all day with a clear evening. Wednesday, things started to get interesting. Starting overnight, thunderstorms hit and hit hard. About mid-afternoon was when the break started. But, nature threw another curve in the evening. A light rain started for around 1 hour. 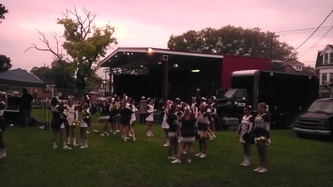 With clouds and more rain threatening; the turnout was very low. Thursday was the exact opposite. What started as a beautiful, late summer day turned into a heavy storm with rain even limiting visibility. The tent I was under had up to 1 foot of water flowing through it. 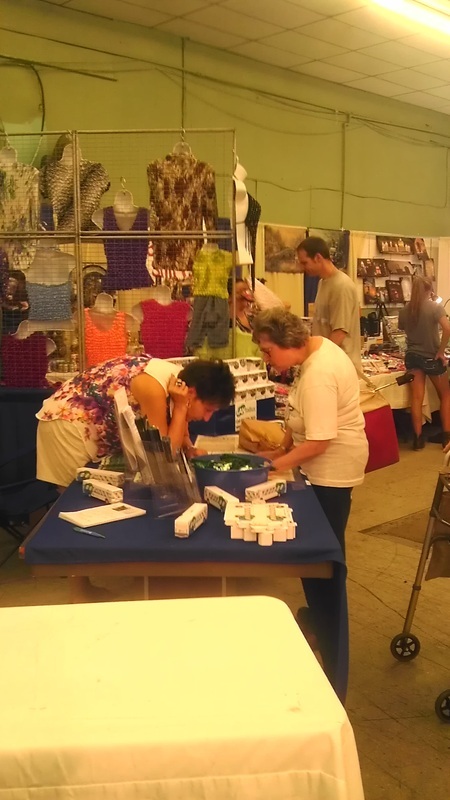 Now that you have the weather updates; time for what I found the Allentown Fair is really about. Each festival / fair has a theme and heart to it. 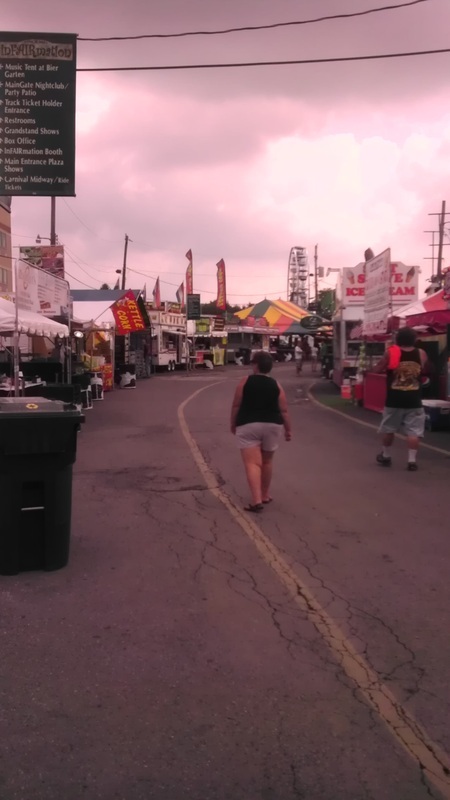 The Allentown Fair is no different. Having a chance to really explore and walk around on Thursday, I found it! I have never been to a traditional country / state fair before. 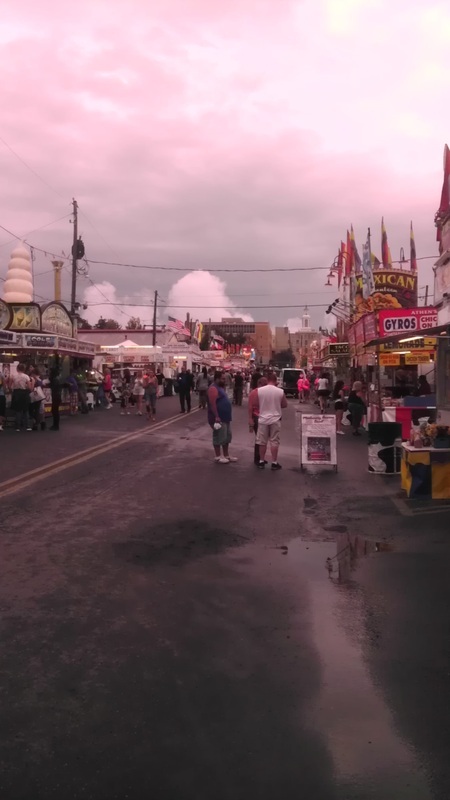 From what I have seen / heard, the Allentown Fair is close to it. Or a miniaturized version of one. 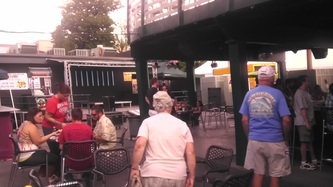 Depending on what gate you walk enter, you will see food / games / rides / stage right off. 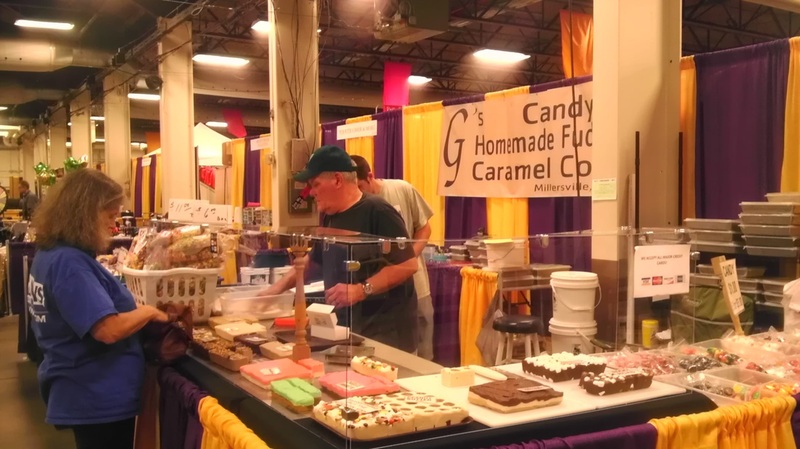 This is a part of any festival / fair. To find the "traditional" part, first go to the Agri-plex. It's a building on the right side as you are going up from the Layfayette / Liberty Sts. gate. There you will find a lot of vendors and booths. When you enter, turn to the left. Here is where you can explore the agricultural part. Oh, and forget about The Cooking Channel / Top Chef / infomercials. Watching live is so much more interesting! This part I am not joking about, in the slightest. 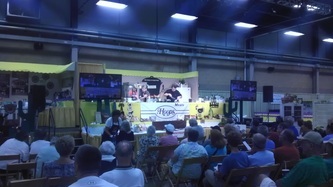 You can watch live cooking demonstrations and contests. In addition, I found 2 booths selling cookware with live demonstrations just like infomercials. Yes, you do get to a small sample of the end results. 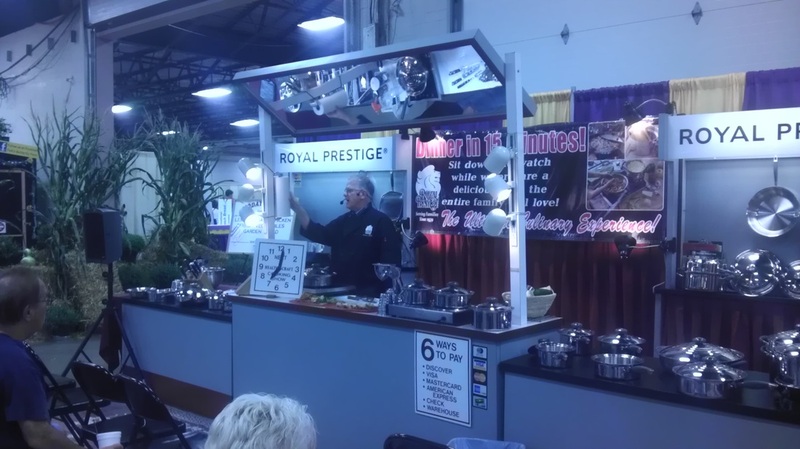 Thursday, I watched the head chef from Pearly Baker's (restaurant in the circle / Easton, Pa), from start to finish. I do not cook, have no interest in it. I found the demonstration very interesting. The chef's name? Peter Felton. The dish prepared? Pecan, arugula and golden raisin stuffed pork tenderloin with bourbon black pepper creme. The name is about 1/3 as long as the recipe. Yes, it was delicious. And the chef did a great job on his presentation! While this part is slightly interactive, there is a passport / scavenger hunt for kids and adults. You can pick up a passport at any of the information booths. 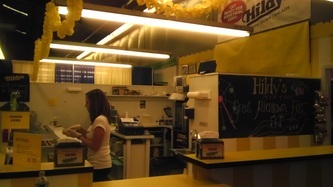 The scavenger hunt part is finding the different locations throughout agri-plex and the live, petting zoo in the back. At each one stop, you have to stamp the passport. 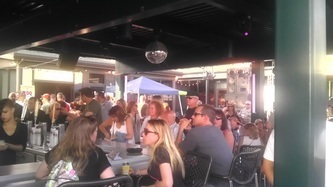 When you are finished, drop if off at a drawing for a cool prize. When I was talking about the "traditional" fair aspect. I had moments of feeling like I went back in time. Walking around and looking at all the exhibits, including displays of antiques and from past fairs. The live animals, wolf show, and most of Agricultural Hall, you forget it's 2013. The present is mostly outside: modern rides, food stands, music and Maingate Nightclub. I also found moments of forgetting I was in a city while being here. With the weather turning clear and sunny for today; watch the radar and more importantly the skies. I will be heading back later this evening. Rounding out the live music at Maingate Nightclub: Friday / Philadelphia Funk Authority, Saturday / M80, Sunday / The Aardvarks. Live shows on the Grandstand from major acts including comedy on Sunday. Standard ticket prices for these. Monday, Labor Day, the fair ends with a loud bang and crunch! A Demolition Derby in the afternoon. 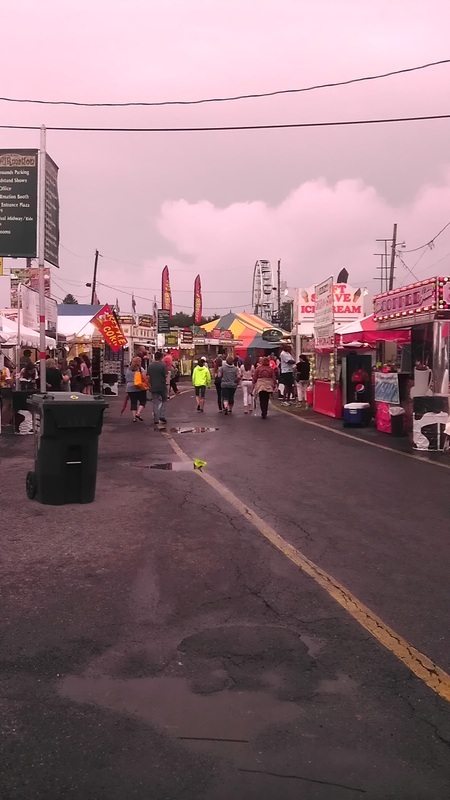 Like I said in my first article, the Allentown Fair is great for a day or two. Exception: if you are planning on seeing multiple shows. 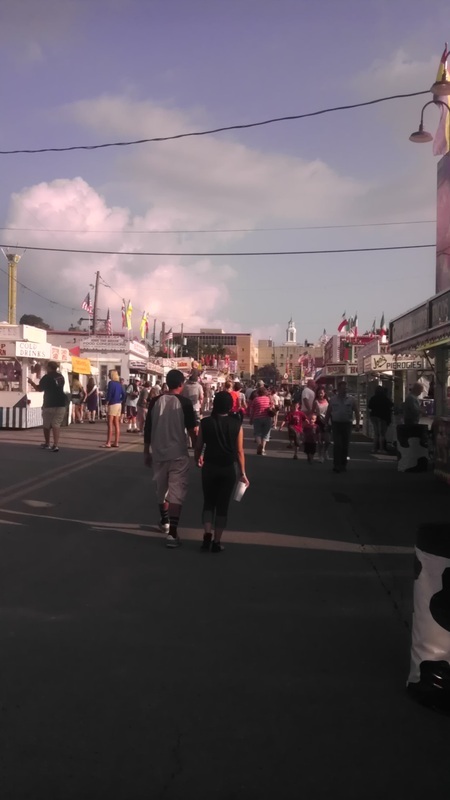 If you want to see the entire fair, plan on spending between 4 and 6 hours walking around. Even if you ate before arrival, bring some cash, you will get hungry. A good mix of local and non-local eating places is available. The variety of food is very wide. There is something for almost everyone. The reason I said bring some cash? ATM's are available if you do not mind paying a fee. The admission is $6.00 / day for adults. Is it worth the $6.00? Yes. I would have to highly recommend it. Everything is free except for Grandstand shows and the obvious: food / beverages / what the vendors offer.